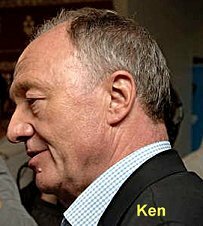 …the clearly stated wish of voters to have Ken Livingstone running London during March 2006 has been reversed by an unelected panel comprising a pensions guru, a statistics expert and a retired Northern bureaucrat. Messrs Laverick, Stephenson and Norris should pray that the leader-free period they have created does not bring a transport, terrorist or bird-flu crisis to the capital. A political mandate is all or nothing: leaders should be backed until the ballot box gets them or, in extreme cases of constitutional violation, sacked. Lawson’s reference to ‘Norris’ as one of the hanging judges doesn’t refer to Steve Norris, former MP and unsuccessful Conservative candidate for London mayor, who indeed appeared on the BBC television programme Newsnight the same evening to express outrage at the denial of democracy implicit in the affair, despite his political differences with Livingstone. The complaint against Livingstone was not brought by the allegedly insulted reporter, who might be thought the only conceivable person with any locus standi for doing so, but by the Board of Deputies of British Jews, of all the unlikely bodies. The reporter harassing the mayor after an office party was compared by Red Ken to a concentration camp guard — i.e. acting in an unprincipled manner, not out of personal lack of principle but because paid to do so by his employer. The comparison was certainly over the top, but it made a palpable point. However, the reporter turned out to be Jewish (and indeed so informed the mayor with some asperity). Livingstone’s enemies, who are many and from all points of the political compass, seized on this laughably trivial episode and represented it as evidence of the mayor’s anti-semitism, about as improbable a charge as can be imagined, Livingstone having been an enthusiastic foe of all kinds of racism throughout his career. But the Board of Deputies of British Jews, characteristically taking on itself the self-imposed duty to spring uninvited to the defence of British Jewry (which coincidentally includes the present blogger), went into battle with the accusation that Ken’s remarks had brought the office of mayor into disrepute and that the matter should accordingly be taken up by the gloriously named ‘Adjudication Panel for England‘, an ‘independent judicial tribunal’ established in 2000 "to hear and adjudicate on matters concerning the conduct of local authority members". The Panel "considers references made to it by an Ethical Standards Officer of the Standards Board for England", another body of unparalleled and well deserved obscurity. The Board of Deputies of British Jews regrets that the Mayor’s intransigence over his hurtful comments last February outside City Hall and his subsequent failure to apologise has led to a finding that the Office of the Mayor has been brought into disrepute. Had the Mayor simply recognised the upset his comments had caused, this sorry episode could have been avoided. He has been the architect of his own misfortune. The Board of Deputies has at no stage passed judgement on the motivation for the Mayor’s comments, nor have we sought anything other than an expression of regret and an acknowledgement that the words used were wholly inappropriate for the elected representative of Londoners of all faiths and beliefs. We hope that all those involved can now move on from this episode. Those who have been licking their lips at the chance of humiliating the twice elected mayor of our capital city already seem to be having second thoughts. The Board of Deputies hastens in its statement to deny ever having accused the mayor of anti-semitism (in which case what on earth did the dispute have to do with them? ), and shrinks even from condemning Livingstone’s remarks to the reporter, merely noting that they were ‘inappropriate’ and ‘hurtful’. The mayor’s offence is now re-defined, with unseemly haste, as his refusal to apologise — with the implication that having given offence to someone, legally and intentionally, and even though he continues to regard his words as fully justified in the circumstances, he has some kind of obligation nonetheless to apologise for them. Well, the Church of England has recently apologised for slavery, the New Zealand government has apologised to the country’s Chinese population for charging an expensive entry tax, begun in the 19th century and lasting until 1930, which imposed hardship on Chinese immigrants, and a certain Warren Perrin is campaigning for an apology by the Queen for the expulsion of Acadians from Nova Scotia in 1755. So by these lofty standards Our Ken could afford to issue an apology to the hurt reporter without the slightest implication of any personal guilt or remorse. To such meaningless nonsense has the concept of apology been reduced. We need to bear in mind a few relevant truths in all this. London’s mayor has committed no criminal offence, broken no conceivable law. He has not been corrupt. There is no law against offending someone with whom one gets into a dispute. No-one has any legal or moral right to be protected from being offended. Making a statement that some regard as being in poor taste is not defined by any law or regulation as a bar to holding public office (we would be chronically short of public servants if it was). There is no evidence that Ken was the worse for wear for liquor at the time, and even if he had been, it is no bar to holding public office to have a few drinks at an office party: this too is not exactly unknown among the political or chattering classes. By no stretch of the most fevered imagination can Livingstone’s remarks to the reporter be construed as racist. He exchanged some angry words with a reporter who was harassing him but there was no physical violence and the whole things was over in seconds. Above all, Mr Livingstone has twice been elected mayor of London with decisive majorities of the votes cast, making him the most senior politician in the land to have been directly elected to his position by popular vote. Until last Friday, no-one had ever heard of Messrs Laverick, Stephenson and Norris, still less voted for them. Their folly in seeking to rob London of its elected leader for a month will be greeted with derision for themselves, and a wave of support for the embattled mayor. If he decides to appeal to a recognisable court against this buffoonery, let’s hope that his appeal will succeed, if only to spare us the embarrassing mockery that this whole affair will otherwise bring down on the heads of Londoners. It’s the last thing we need. You speak of an ‘obscure panel of unelected functionaries’ as if the people who have sentenced Ken Livingstone had emerged from the woodwork as a kind of ad hoc Star Chamber appointed to bring a good man down. The fact is that they have emerged from the provisions of the Local Government Act 2000 and are doing what they were appointed to do; if you don’t like what they are doing, then your criticism should be addressed to the Parliament that appointed them to do it and gave them the power to do it, not to the men themselves. And if, as people are saying, the panel was not designed to consider such matters, why was it doing so? Who required it to start doing so and who allowed it to continue doing so? If it has exceeded its authority, will its members be called to account? If not, why not? And if they are not called to account, are we to infer that they were acting correctly after all? Is it just that a politically inconvenient outcome is leading to the heaping of large amounts of ordure on the heads of the messengers?If Londoners don’t like having headlines around the world reporting that their mayor has been suspended from office for getting drunk and gratuitously insulting a Jewish reporter in a way that certainly can be construed as racist, then it would have been advisable in the first place for them not to elect a man who has always been known as a loose cannon with a loose lip. Oh, and if it had been the Mayor of Liverpool who had got into trouble in this way, would anyone in London ever have noticed? I rather doubt it. 25 Feb 06: Brian replies: I don’t accept that obscure and unelected officials making manifestly indefensible decisions adversely affecting the government of my city should be immune from criticism just because their institution was created by parliament. There are two quite separate issues here: (1) whether Livingstone’s remarks to the Evening Standard reporter constituted an offence under this or any other Act, and even if it did (which in my view it didn’t), whether the ‘sentence’ passed on him is proportionate to it and in the public interest; and (2) whether the relevant institutions, their mandates and their powers and functions are fit for purpose and likely to serve the public interest. Almost everyone concerned seems to agree that the answer to (2) is No, and that the Act needs amendment. The government that initiated it and the parliament that approved it are both obviously at fault in having got it wrong. Apart from anything else, it’s ridiculous that people in local government should be required by law to exhibit ‘respect’ to everyone else, regardless of whether respect is deserved, earned or appropriate. As to (1), there’s a pretty general consensus now even among those who detest Ken Livingstone that the answer is also No; and the blame for that belongs exclusively to the three persons who made the absurd decision, not to parliament or indeed to anyone else. It’s relevant that the Standards Board for England which referred the complaint to the Adjudication Panel for England recommended a reprimand, not suspension; and that the complainant, the Board of Deputies of British Jews, makes it abundantly if obliquely clear in their statement, quoted in my post above, that they had had no wish or expectation that the mayor should or would be suspended from duty. The overwhelming majority of commentators in the media here today, including vox pop programmes on radio and television, regard it as quite unacceptable that a senior elected political leader with heavy executive responsibilities should be prevented by a group of unelected and unaccountable officials from doing his job for a month, or indeed at all. An elected mayor or any other elected politician in local or national government should be dismissed if he or she has broken the law or held accountable to the electorate if s/he is thought by some to have behaved improperly. As for the mayor’s behaviour in ‘insulting’ the reporter, does the fact that the reporter happened to be Jewish make the ‘insult’ racist when it obviously wouldn’t have been if the reporter had not been a member of any religious or racial minority? The reporter was carrying out a duty for his paper which was designed exclusively to bring the mayor into disrepute by whatever means might come to hand, as part of the newspaper’s vitriolic and long-standing campaign to damage Ken Livingstone. Pointing out that acting in this discreditable manner at the behest of an unprincipled employer put the man in the category of a concentration camp guard, and that this was especially reprehensible when the man concerned was Jewish and thus someone who had special cause to condemn the moral stance of a concentration camp guard, seems to me the opposite of racist or antisemitic and indeed to make a valid point in a commendably economical way. The fact that this trivial exchange of unpleasantnesses should now need to be subjected to this kind of elaborate textual analysis only demonstrates the absurdity of the whole affair. The code of conduct, you see, and I paraphrase slightly, requires members of local authorities to respect other people and not to do anything which might be thought to bring their office into disrepute One wonders how Mr Nick Raynsford, who made the order, allowed himself to do so; or how the panel members, not just these three, allowed themselves to be persuaded by the Lord Chancellor to act. I sometimes think that members of single purpose tribunals like this one are too keen to be seen ferreting out sin. What a pity though that the Act does not bind the Crown. "One more slit-eyed remark, Sir, and you may find yourself spending a few weeks as not the Duke of Edinburgh."